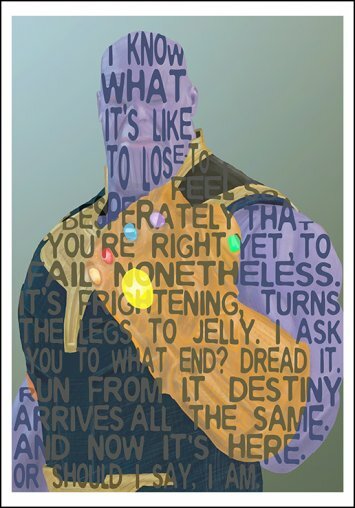 And with just a snap...enjoy some words of wisdom from Thanos himself. This is a 5x7" fine art giclee. This is a fun size to add somewhere where space is limited, or to pepper in different sized and shaped art in your grand art wall.